Though originally from the Berkshires, Mary spent her childhood summers on Mashnee Island and always considered Bourne her second home. In 1995, Mary decided to make her childhood dreams come true and make the Cape her permanent residence. She loves working with both buyers and sellers alike. She has an easy way about her that makes her clients feel comfortable and valuable. She is able to make each client feel like they are the only client and is quick to respond to all inquiries and concerns. 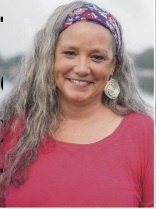 Mary is passionate about Cape Cod and has been involved in Bourne Community Boating, the Monument Beach Civic Associates, and served on the Town of Bourne Board of Selectman. Please contact her to help you find your home in one of our unique villages. She is friendly, knowledgeable, and organized, and will work tirelessly to ensure you are nothing less than completely satisfied.